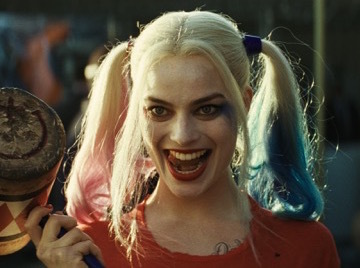 "Suicide" strength: Hollywood got an early Christmas present with last weekend's $135.1 million "Suicide Squad" opening. "Suicide" estimated opening weekend put it in a virtual tie Sunday morning as the year's third biggest launch. "Captain America: Civil War" ranks first with $179.1 million on May 6 and "Batman v Superman: Dawn of Justice" is second with $166 million on Mar. 25. "Suicide's" estimated $135.105 million is slightly ahead of "Finding Dory's" $135.060 million on June 17. Monday's final numbers for "Suicide" will determine the official standings. "Deadpool" is fifth with $132.4 million on Feb. 12. In addition, "Suicide" is the biggest August opening ever, beating "Guardians of the Galaxy's" $94.3 million launch on Aug. 1, 2014. "Suicide" was last weekend's number one film internationally, per comScore, with $132 million in 57 territories, giving it a global cume of $267.1 million. The new Warner Bros.' 3D fantasy action adventure is from "Fury" director David Ayer and stars Will Smith, Jared Leto, Margot Robbie, Joel Kinnaman and Viola Davis. While "Suicide's" explosive boxoffice success was obviously great news for Warner and DC Comics, it also put some smiles on theatre owners' faces. After all, the more people in the multiplexes, the more popcorn, candy and soda that gets sold. Ticket sales last weekend for all films in the marketplace, according to comScore, were up 73.5 percent vs. this time last year -- $230 million (the biggest ever for an August weekend) vs. $132.6 million in 2015 when "Mission: Impossible – Rogue Nation" topped the chart in its second weekend with $28.5 million. Blockbuster openings also benefit Hollywood, in general, to an extent because other studios' trailers playing with those films reach a much larger audience than would usually be the case. The more people who get to see those trailers, the better those films are likely to open. It's also worth pointing out that when a film scores huge numbers the way "Suicide" just did, it helps Hollywood refute the media pundits who love to take cheap shots at the movie business. It may be true that people are now streaming movies on mobile phones and running around town obsessed with playing Pokemon Go and binge viewing series at home on Netflix, but when Hollywood's big event mega-budget movies deliver great commercial entertainment, they still play to packed theatres. As Hollywood's known for many years, there's nothing wrong with the movie business that a few good pictures can't fix. And "good" means good as the audience defines good, not as the critics do. "Suicide's" success came despite the fact that very few movie critics had anything nice to say about it. Considering "Suicide's" 26 percent rotten score on Rotten Tomatoes, it's clear that moviegoers really don't care much about what the critics think when it comes to super-sized comic book driven popcorn movies. Not surprisingly, "Suicide's" audience score on RT is a very healthy 73 percent. The media tends to attach way too much weight to what the critics say about big special effects films targeted to broad audiences. On the other hand, the critics do matter when it comes to small adult appeal dramas with film festival pedigrees and Oscar hopes. Good reviews can help those films be found by their audiences. In any case, "Suicide's" ultra-rich opening was something of an early gift from Santa. And just thinking about Christmas-in-August brings to mind the fact that – believe it or not -- we're only a little more than three months away from the start of the real holiday season, which is Hollywood's best boxoffice season after the summer. So just to get you in a pre-holiday mood, here's a quick look at some high profile films that will be opening wide – before you know it! -- from pre-Thanksgiving through Christmas. Warner Bros.' 3D fantasy action adventure "Fantastic Beasts and Where to Find Them" arrives Nov. 18 to get a jump on the following week's Thanksgiving moviegoing. With its solid "Harry Potter" pedigree, "Fantastic" should be a strong contender at the early holiday season boxoffice. "Fantastic" director David Yates directed four "Harry Potter" franchise episodes – "Order of the Phoenix" (2007), "Half-Blood Prince" (2009) and "Deathly Hallows" Parts 1 and 2 (2010 and 2011). "Fantastic's" screenplay is by "HP" author J.K. Rowling and marks her screenwriting debut. "Fantastic," whose story opens in 1926 about 70 years before "HP," isn't an "HP" prequel. But it's related material beyond Yates and Rowling's participation. "HP" fans may recall "Fantastic" as one of the textbooks on Hogwarts' reading list in Rowling's first novel, "Harry Potter and the Philosopher's Stone" (which was published in the U.S. as "Harry Potter and the Sorcerer's Stone"). Starring are: Eddie Redmayne, Katherine Waterston, Dan Fogler, Alison Sudol, Ezra Miller, Samantha Morton, Jon Voight, Carmen Ejogo, Colin Farrell, Jenn Murray, Ron Perlman and Faith Wood- Blagrove. 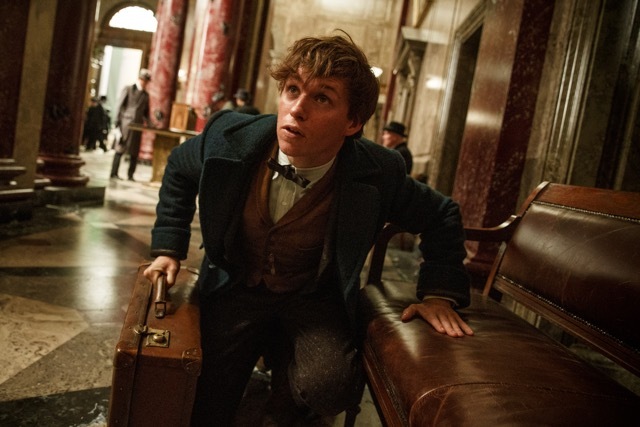 Redmayne plays Newt Scamander, the fictitious author of Rowling's fictitious book. In "Fantastic," Scamander's back from traveling around the world to discover and document an array of bizarre magical creatures. When he hits New York, according to Warner, he encounters "a No-Maj (American for Muggle), a misplaced magical case, and the escape of some of Newt's fantastic beasts, which could spell trouble for both the wizarding and No-Maj worlds." A good indication that Warner anticipates a fantastic reception for "Fantastic" is that it's already announced plans for a sequel to open Nov. 16, 2018. Besides Redmayne returning as Newt, Yates and Rowling will also be back as director and screenwriter. Thanksgiving's always the perfect time for a 3D animated Disney family comedy adventure and Wed., Nov. 23 will bring exactly that with the arrival of "Moana." Directed by Ron Clements & John Musker, whose directing credits include "Aladdin" and "The Little Mermaid," its voice talents include: Dwayne Johnson, Alan Tudyk and Jemaine Clement. Set in the South Pacific, it's based on an ancient Polynesian legend about a headstrong young heroine, Moana (voiced by Auli'i Cravalho). Adults will be the target for Paramount and GK Films' romantic action drama "Allied," also opening Wed., Nov. 23. Directed by Robert Zemeckis ("Forrest Gump," the "Back to the Future" trilogy), it stars Brad Pitt, Lizzy Caplan, Marion Cotillard, Jared Harris and Matthew Goode. In "Allied," set in 1942, Pitt plays Max Vatan, a British counter-intelligence agent married to French Resistance agent Marianne Beausejour (Cotillard). While on a dangerous mission in Casablanca, Max learns that Marianne is a likely Nazi spy and begins investigating her. A Star Wars Story." It's a spin-off story rather than a true sequel episode, but it's nonetheless highly anticipated by fans and should keep the multiplexes busy. Genevieve O'Reilly and Spencer Wilding. 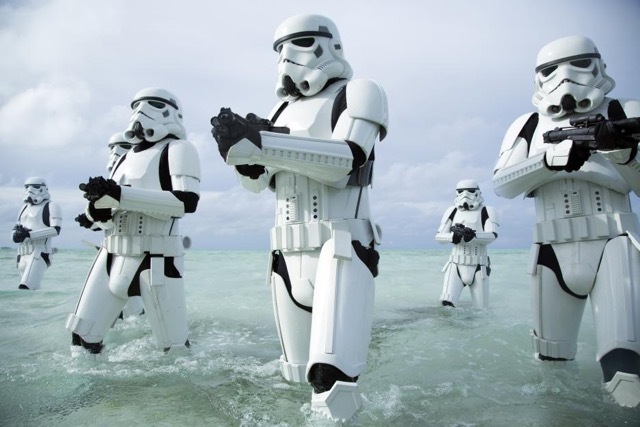 In "Rogue," a band of resistance fighters team up for a daring mission to steal the plans for the Death Star. The last "Star Wars" episode, "The Force Awakens," opened Dec. 18, 2015 to $248 million and did $936.7 million domestically. It was the year's biggest opening weekend and top grossing film. Like Thanksgiving, Christmas is prime time for 3D animated family comedies. Dec. 21 will bring "Sing" from Universal Pictures and Illumination Entertainment. runs a once-grand theater that's fallen on hard times. An eternal optimist and a bit of a scoundrel, Buster will do whatever it takes to preserve his theatre. He now has one final shot at restoring this fading jewel to its former glory by producing the world's greatest singing competition. Bottom line: Besides its impact on the weekend, "Suicide" also boosted the year-to-date boxoffice numbers. A week ago 2016 was up 3 percent over last year, according to comScore, but post-"Suicide" it's up 4.1 percent -- $7.26 billion vs. $6.98 billion in 2015.